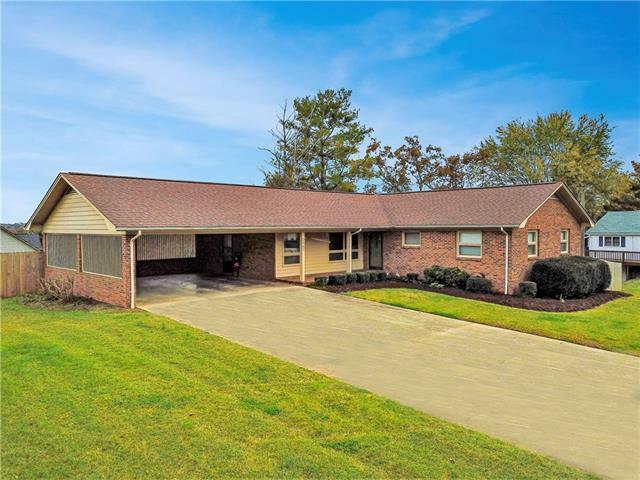 You will love what this 3 bedroom, 3 bath brick ranch has to offer! It offers a large open kitchen area with a walk in pantry or small office space off of it. Hardwoods through most of this home are in excellent condition and you will love the over-sized windows through out most of this home. The large living room has lots of natural light and offers a lot of space to entertain friends, family or guests. Then the big bonus is a completed basement that offers a full bath and a full kitchen which could be a perfect in-laws location! This home sits right off interstate 40 and is a quick drive to shopping and restaurants.